Cape Town - Absa Premiership leaders Baroka FC go into Tuesday's clash with Mamelodi Sundowns at the Lucas Moripe Stadium without a win in their last five matches. Sundowns head into the league encounter in Pretoria in fifth place with two victories from their most recent five outings. Of the four teams above the Brazilians on the table, only Orlando Pirates in second and Cape Town City in forth, have recorded a victory in their last five league showings. This has resulted in Baroka possessing only a slender three-point gap over Tuesday night's opponents. The Limpopo club managed to salvage a 2-2 draw with struggling Platinum Stars in their last league encounter, but coach Kgoloko Thobejane says he is not concerned at having claimed only four points from a possible 15. "No, it's not frustrating to me. The results we are having, we are accepting them," he said. "Being frustrated means you'll go all over the bush looking for something you don't know. We are playing good football. It's just that it's the name of the game. "We are still on top. Our main aim is to keep that number one spot," he added. 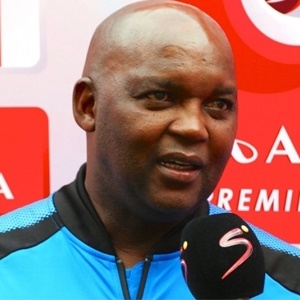 Sundowns, who drew their last game 0-0 with Chippa United, are looking handily placed to try and reclaim the league title they won in 2015/16 as Pitso Mosimane's side have three matches in hand on the top three sides. Neither team has any suspensions or recent injury concerns. Last season's corresponding match ended in a 2-2 draw, while Sundowns beat Baroka 1-0 in the Limpopo province in their only other previous encounter.